A few weeks ago, I planned a bike ride that took me from our house in Portland's Sunnyside neighborhood down to the Crystal Springs Rhododendron Garden and back, roughly 10 miles in total. It started raining-- scratch that, pouring-- in the middle of my bike ride, and between that and the general confusion that comes with biking in an unfamiliar place, I turned left when I should have turned right. 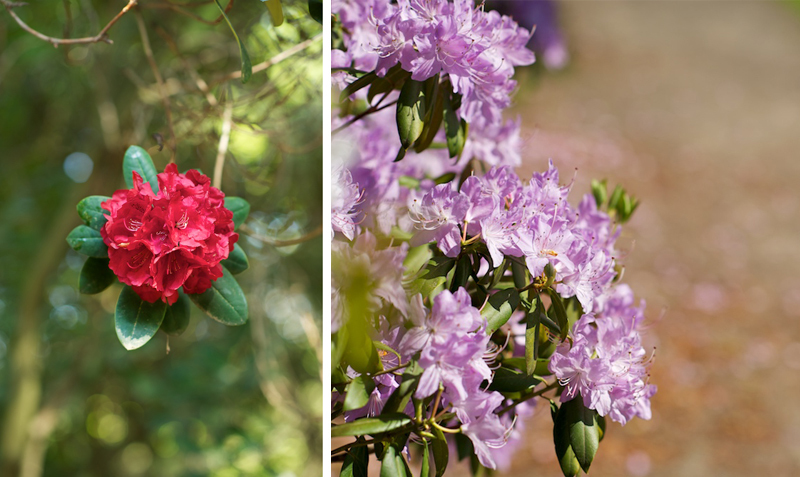 At first, I didn't know I had taken a wrong turn because the Rhododendron Garden is surrounded by a golf course, and from the road, everything looks lush. I was looking for a specific street to cut back on, and after going up and over the highway three times, it became apparent that this road didn't exist and I had taken a wrong turn. 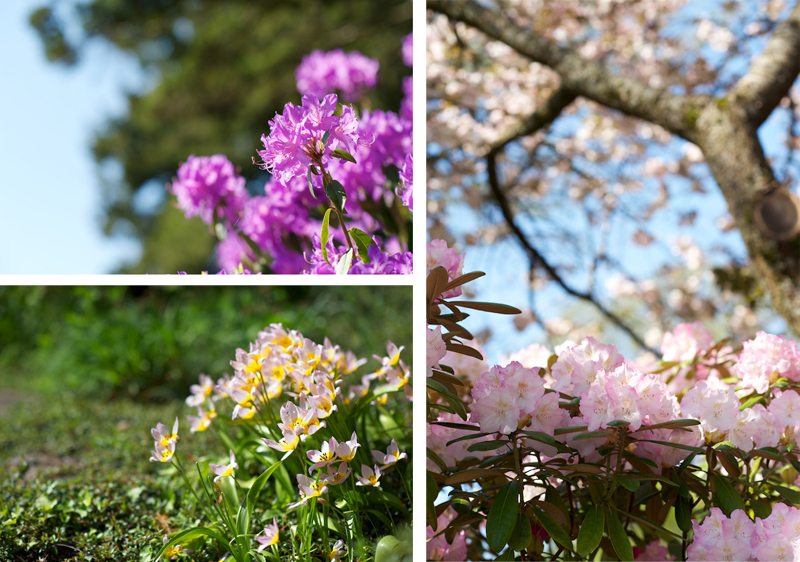 So rather than bike up the same hill again, I walked my bike up to the Rhodendendron Garden and headed home from there. On Monday, I went back to the garden, this time as a biking destination, rather than a turn-around location. The garden is already a special place for Justin and me. We walked around the garden just about a year ago, when we first visited Portland. 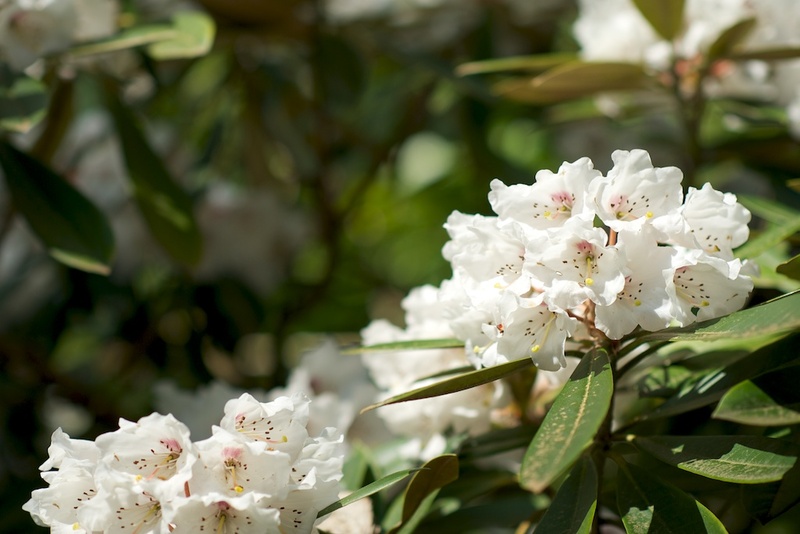 I've never had definitive thoughts, positive or negative, about rhodenendrons, but after last year's visit, I'm firmly in the positive camp (even if I have trouble spelling the flower's name half the time). 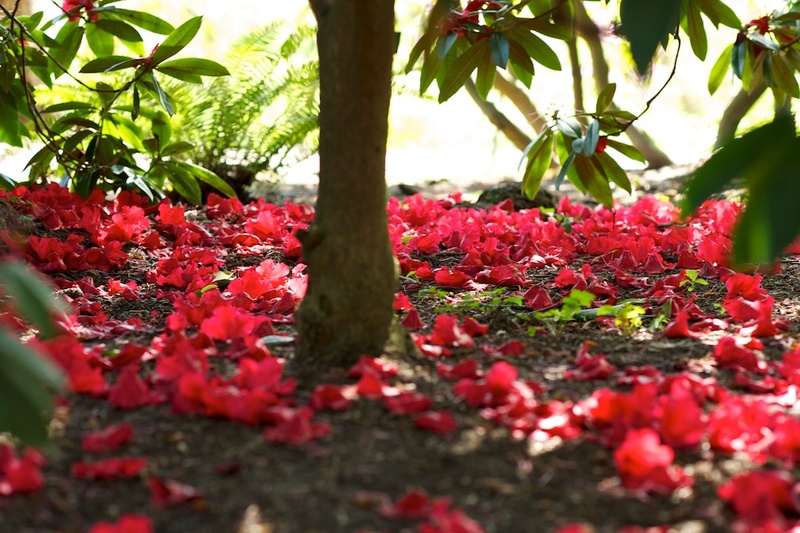 The Crystal Springs Rhododendron Garden is comprised of 10 acres of 2,500 rhododendrons, azaleas, and similar plants. 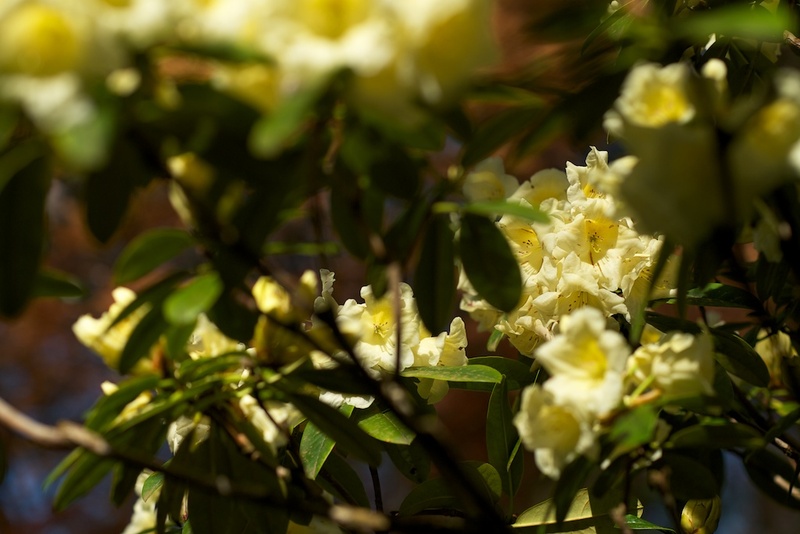 The flowers and plants are interspersed among paths and small lakes and waterfalls. 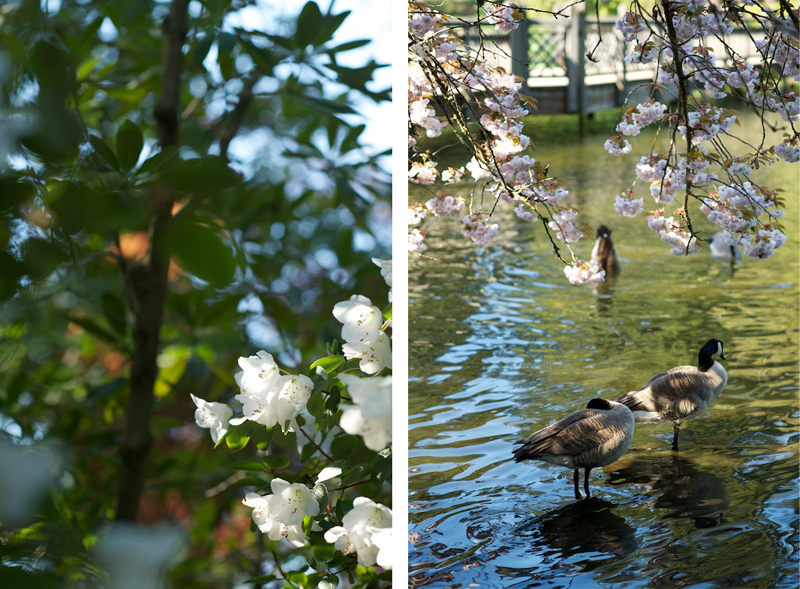 The garden is also home to brazenly loud geese and ducks. As much as I groan when I hear cliches like "the only way to learn is to make mistakes", it is true that the best way to solidify how to do something correctly is to do it incorrectly first. And after my wrong turn, I now know exactly how to get to the garden and back home on my bike. Although the garden is in need of more places to park bikes (we had to chain ours to the fence), returning to the garden felt quite special. Instead of just visiting Portland and marveling over its beauty, we were visiting a place practically in our neighborhood garden--and we can bike back whenever we want. Like many cities, Portland contains numerous neighborhoods. Our modern interest in homesteading is more than a fleeting pursuit.